It’s almost spring, which means three things: bipolar weather, the end of the semester, and none other than the Mission Creek Festival. Mission Creek is a festival that rolls through Iowa City every April, this year April 3rd through April 8th. It includes music, literature, performances, and many more. Honestly, I’m pretty stoked for it this year for many reasons, but today I’m gonna focus on one artist that I’m truly hyped to see: Julien Baker. Julien Baker is a singer/songwriter from Tennessee, pulling listeners in with her smooth slowcore, indie rock/folk style of music. 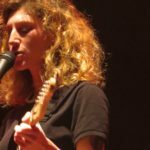 There isn’t much production to her music — it’s just her stunning voice and her guitar. If you’re looking for some chill music to listen to, you should definitely check out Julien Baker. Now if you regularly read any of my articles, then you will know that I loooovveeee pop punk music and punk shows. But I also love chill, vibey acoustic music, so I think this will be a show that you won’t want to miss. You can catch her at Gabe’s on Saturday, April 7th at 10:30 p.m. Don’t forget to check out Squirrel Flowers at 9 p.m. as well. Back to Baker — can I just say how much I admire her? She’s only a year older than I am and I feel like she has accomplished so much. 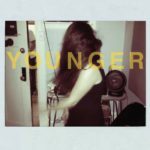 During her freshman year of college, she self-released her first album on Bandcamp in winter of 2014, which then became her first studio album “Sprained Ankle” in October 2015. She followed up with her LP “Turn Out The Lights” in 2017, with help from Sorority Noise’s lead singer Cameron Boucher (!!!). What I love about it is that it feels so raw, and it tells a story of vulnerability and resilience. TBH, it’s the perfect music to chill to, study to, vibe to, cry, etc. I honestly can’t wait to see her live because I want to see that raw emotion in person. I mean, just watch this episode of NPR Music’s Tiny Desk Concert and try not to cry. Lmk how that goes. 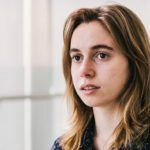 Make sure to check out Julien Baker at Gabe’s on April 7th, and while you’re at it, head on over to missioncreekfestival.com to check out some other cool artists who will be making an apperance!